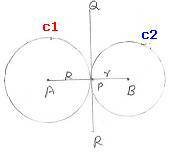 Data: Two circles with centers A and B each other externally at point P (Figure 1)) or internally (Figure 2). respectively. Show that AP and BQ are parallel. 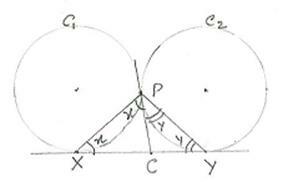 In the adjoining figure circles with origins A and B, touch externally at M. We need to prove that AP || BQ. line AB. A circle with center as O touches all the three circles. 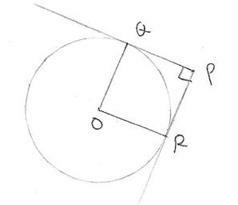 6.14 Problem 5: In the figure PQ and PR are tangents to the circle with Center O. If QPR= 900. Show that PQOR is a square. 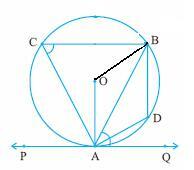 6.14 Problem 6: In the figure, AT and BT are tangents to a circle with center O. 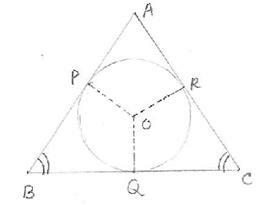 Another tangent PQ is drawn such that TP=TQ. 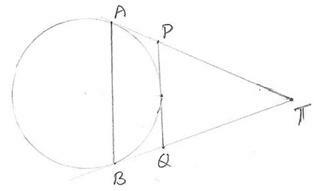 1) AP+BQ+CR = BP+CQ+AR and AP+BQ+CR = 1/2 *perimeter of ABC. 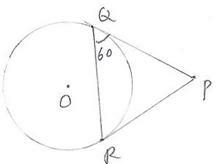 6.14 Problem 8: TP and TQ are tangents drawn to a circle with O as center. -subtend equal angles at the center. 6.14. Theorem 1: A tangent at any point on the circle is perpendicular to the radius through that point. 6.14. Theorem 2: The line perpendicular to a radius at its outer end is a tangent to the circle. 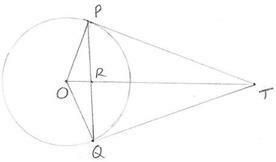 is equal to the square of the length of the tangent(PT2)from the point of contact(T) to the point of intersection (P). Given: PT is tangent, AB is chord. 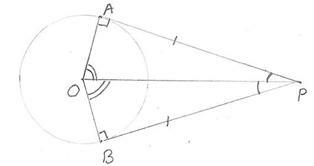 through the point of contact is equal to an angle in the alternate segment.